My name is Meredith. It is also Mama (to my son), DeDe (to my nephews), Mere (to my husband, parents and friends) and Mrs. Burton (to my students). My name is part of who I am and shares part of my identity in a given moment. I like my many names and emotion and relationship is associated with each one. The same is true for children. A very young child often calls himself by his own name (in the third person) for a period of time after he learns to say it. It is special and valuable. 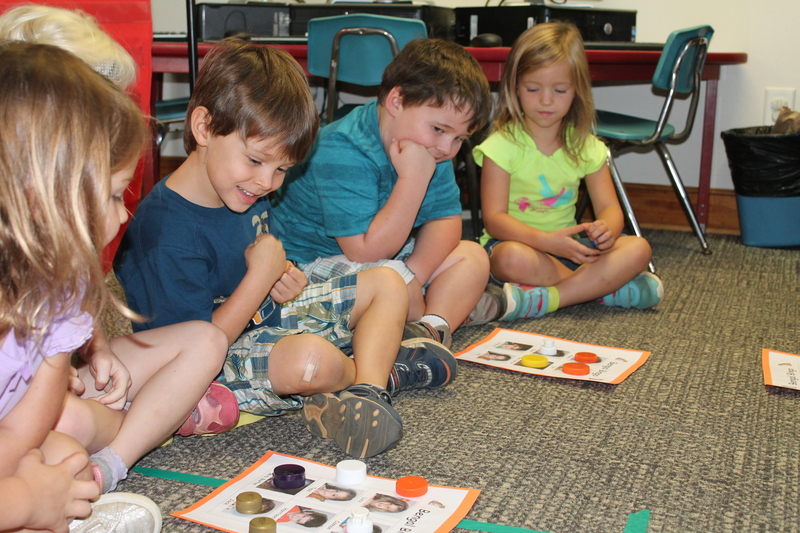 Children like to hear how it sounds. For preschoolers, it is often the first word they can read and write. 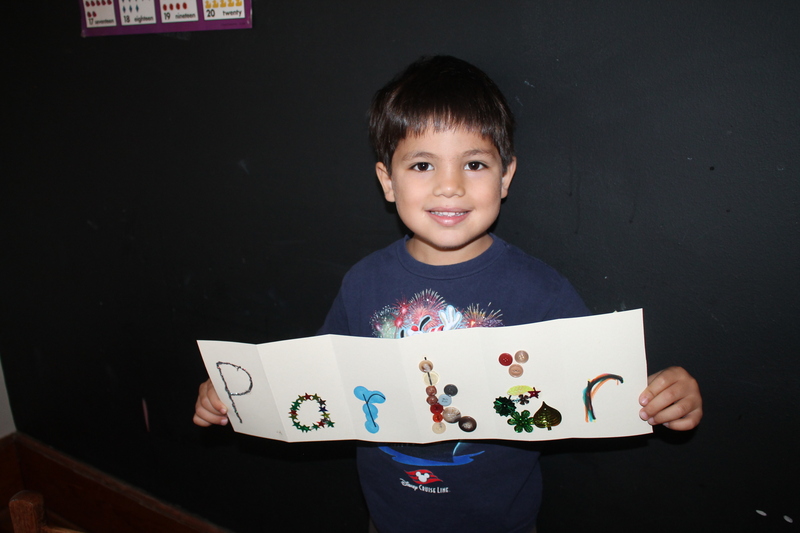 A sense of pride comes with recognizing and forming the letters to make our own marks. This summer, my son was old enough to get his own library card. One of the most important parts of having his own card was the act of signing the back in his own printing – carefully displaying ownership of that card. At the beginning of the school year in my pre-K and kindergarten class, we do a Names Project. This gives the children a chance to share interesting facts about their names and learn some new things, like how many letters and syllables are in their names. 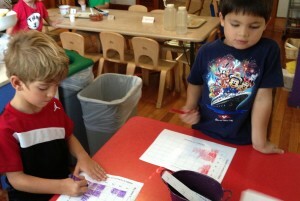 The children also learn to read and write each others’ names. We read books, make graphs, play name games, and sing about our names. All of these activities are building pre-literacy skills, but they are also showing value and respect for each child’s name in the class. Here are some of the books and activities that we are enjoying during our Name Project this year. More will be available soon in Part 2 of “What’s in a Name?” If you are a parent or teacher,try some of them with your children and let me know how it goes. 1. Chrysanthemum by Kevin Henkes – This book is about a little girl who loves her name…that is until she goes to school. Some of the children make fun of Chrysanthemum because her name is long and is the name of a flower. Chrysanthemum wilts until a teacher comes along who changes everyone’s opinions and helps Chrysanthemum find the beauty in her name again. 2. My Name is Johari by Anne Sibley O’Brien – This book is sadly out of print, but the following activities can be done regardless. The book is about a little girl who loves her name, but then she starts school. She is very sad and doesn’t want to write or sing her name. Then the teacher sends home an assignment asking families to talk about how the children got their names. Johari learns that her name is from Africa and means “jewel”. She is proud of her name and when she shares the origins of her name with her classmates, they think it is special too. After we read this book in class, I also send home a family activity sheet to spark conversations about the children’s names. 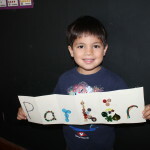 Back at school, the children share the special qualities of their names with their friends. Click Here to Download the Family Activity Sheet. We also make name signs that the children decorate themselves. We hang them up at school for a few weeks while we are learning each other’s names. 3. An activity that we do throughout the year is called “Reading Around the CDC”. 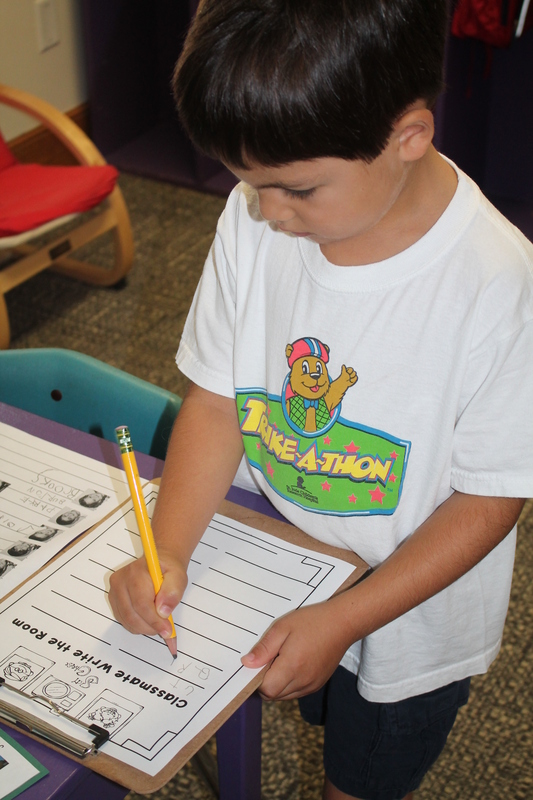 The children can get a clipboard, paper and pencil and walk around the school looking for words they can read. In the Names version, the children look for the names of their classmates and teachers that they can read. Then they write them on their paper. 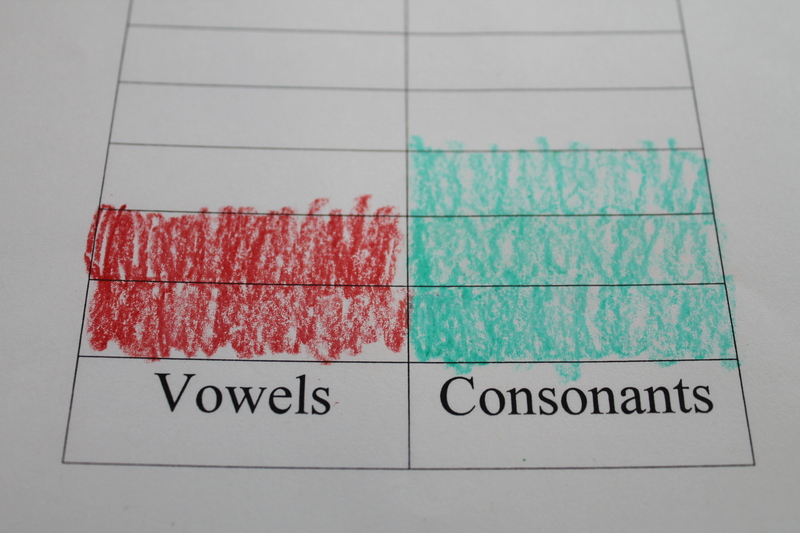 This is great letter formation practice (fine motor) and helps develop confidence in “reading” familiar words. 4. Name Graphs – Throughout the project we make a variety of name graphs that also help us learn some skills. We count the number of letters in our names and those of our classmates to make our first graph. We make whole group graphs and work on creating individual graphs in small group time. The children begin to interpret the graphs as they make their own. 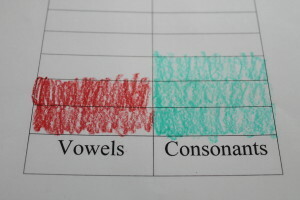 We also make graphs about the number of syllables in our names and the number of vowels and consonants in our names. 5. Classmate Bingo – This is a fun game that everyone enjoys! I make Bingo boards with the children’s pictures and names in the boxes. I also write the children’s names on clothespins and put them in a box. The caller reads off the names on the clothespins and the children cover the boxes on the bingo board as the names are called. 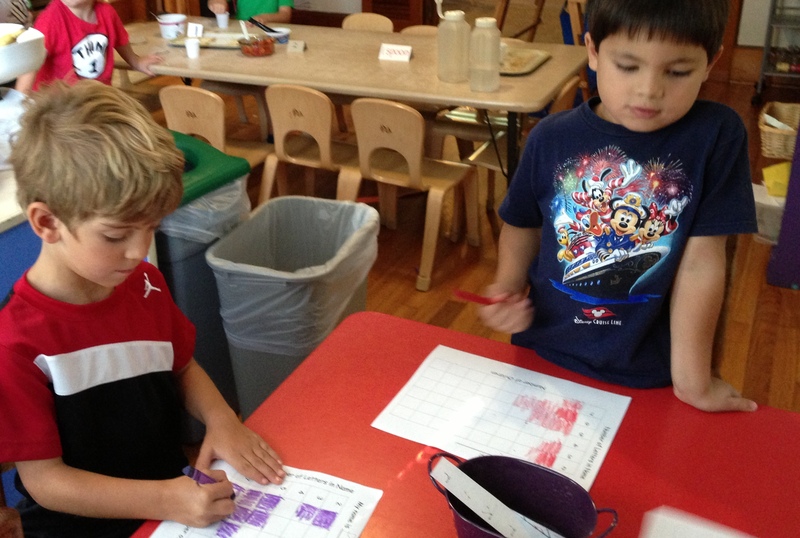 At the beginning of the year we often play with partners and the children help each other. Later in the year, we play another version without pictures, just names on the cards. The children really get excited about playing this game and frequently ask to play it. Make your own version of Classmate Bingo. It could become Family Bingo too. Part Two of “What’s in a Name?” will be available in about a week.